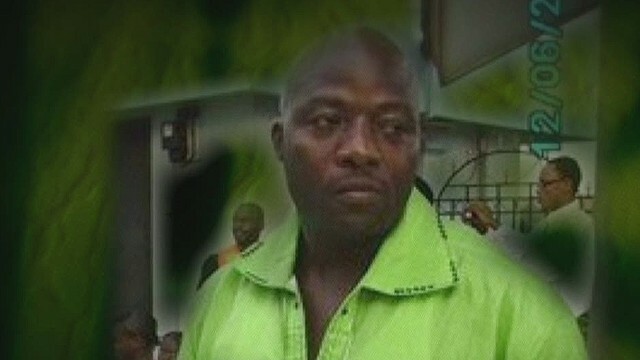 Is Dallas Ebola patient Thomas Eric Duncan being treated the same as everyone else? A family questions the Dallas Ebola patient's medical care. Allegations against "7th Heaven" actor Stephen Collins are less than heavenly. And North Korean leader Kim Jong Un hasn't been seen in a month. Where is he? Shortchanged? Thomas Eric Duncan, the first person diagnosed with Ebola in the United States, got an experimental medicine nearly a week after being admitted to a hospital. Four other Ebola patients treated in the U.S. received theirs almost immediately. Duncan's family asks, why the difference? Duncan is Liberian and black. The others are white American citizens. The hospital says Duncan is receiving the same treatment any other patient would get. A possible reason for the difference: The hospitals that took care of the four other patients had substantial notice that patients were on their way. That wasn't the case with Duncan. Hospitals have to fill out special paperwork to get these sorts of drugs. Can't be charged: He played a pastor and a dad on TV's "7th Heaven." Now, actor Stephen Collins is accused of sexually abusing three underage girls. According to divorce documents filed by his estranged second wife, Faye Grant, Collins admitted to her that he molested them more than a decade earlier. Two of the girls lived in New York, one in Los Angeles, according to the divorce papers. Police in New York are aware of child molestation allegations by a former relative against Collins, but because of the statute of limitations, he cannot face charges in that case. In New York, a person has five years from their 18th birthday to make an accusation of sexual abuse to authorities. That time has passed. Neither Collins' attorney nor his agent immediately returned any of CNN's numerous calls for comment. Under the gun: Kurdish fighters defending the key Syrian border city of Kobani are dangerously outmatched as ISIS advances, a top United Nations official said yesterday, calling for the international community to step in. Were Kobani to fall, ISIS would control a complete swath of land between its self-declared capital of Raqqa, Syria, and Turkey - a stretch of more than 60 miles. Airstrikes against the radical Islamist group in Kobani can be challenging, because many targets are too close to the Turkish border or Kurdish forces, a senior U.S. military official said. Questions, questions, questions: Events in North Korea have left the world wondering: Where's leader Kim Jong Un, and is he still running perhaps the most isolated country on Earth? First, Kim gained a lot of weight. Then he developed a limp. Now, the 31-year-old leader has been out of the public eye since September 4. Very curious indeed, say folks who watch North Korea. It's enough to lead some to wonder whether something of a coup has taken place. Stay tuned. On the rise: Sequels are usually a disappointment. But not this time, not with this heavenly body. If you live in the western half of the United States, you have a front-row seat for the show - a lunar eclipse that turns the moon a burnt reddish orange for about an hour early Wednesday. Because of the special light show, it's called a blood moon. It's the second one of the year. - Yikes: An Italian rally car narrowly avoids crushing spectators. - Doing the Carlton: Alfonso Ribeiro revived the famous dance he did on "The Fresh Prince of Bel-Air" for "Dancing with the Stars." - Fiery crash: A car crashes into a semi near Biloxi, Mississippi. Don't worry, everyone survived. - This game is a war: An Army vet throws out the first pitch like it's a grenade. Wow!!!!!!!! I forgot to high five Alfonso Ribeiro on his stellar performance of the Carlton!!!!!!!! Dancing With The Stars next CHAMPION!!!!!!!! Who in their right mind sits along side a road and at a CURVE IN THE ROAD!!!!!!!! to watch a CAR RACE?!?!?!?!?!?!?!?! Angels had to had been surrounding everyone that day!!!!!!!! UNBELIEVABLE!!!!!!!! And the truck driver who saved a grandmother and her grandchild from a fiery death is TRULY AN ANGEL!!!!!!!! Hey! The Big Man said no boots on the ground so you CNN people need to listen up and understand The Big Man means no boots on the ground even if the ground is soon to become ISIS ground. The administration means what they say unless the polls change then it was a miss-understanding and you heard incorrectly. Got it!